Every financial investment needs a clear plan behind it. You need to know how you will finance it, how you will manage it, and how you will get your profits out of it. Whether you buy one investment property or a whole raft of them, if you are a property investor you need to have an exit strategy in place to help you maximise your profits in the right way and at the right time. 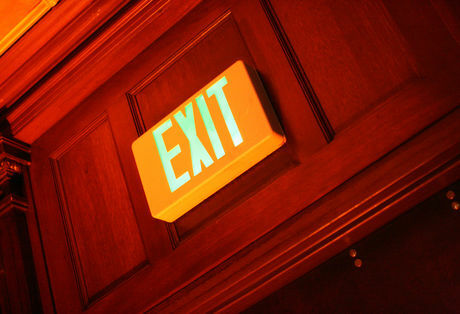 Every property investor needs an exit strategy, but only a few give this proper consideration when they begin investing. Essentially, your exit strategy is your plan to get the biggest profits out of your investment, and this can be done in a number of different ways. It might involve selling property in small bursts, all at once or when the market dictates it. Whatever your plan and the reasons behind it, knowing where you intend your investments to take you is important in choosing where and how to invest. Pensions – Many investors put money into property as they see it as safe or more profitable than a traditional pension. If this is the plan then you need to decide whether you intend to sell the portfolio on retirement and live off the profits, or go into your retirement with no mortgage and enjoy the monthly rental income. These options will affect what mortgage you opt for, and may also determine your retirement date, so making these decisions early will help you to plan for the future. Interest Rate Increases – It is highly likely that interest rates will rise in the not too distant future. As an investor you need to have a rate of interest in mind that is the maximum you can afford to pay before the investment is no longer viable. By understanding this from the start you can choose the right level of investment, and can pre-empt the point at which you may have to sell. Inheritance – If you intend loved ones to inherit your portfolio, you need to consider the tax implications. To avoid Inheritance Tax, the portfolio will need to be gifted to an heir at least seven years before you die, or it will need to be owned by a limited company. Personal Issues – Life likes to throw a few curveballs our way, so something such as a family crisis, a sudden illness or the loss of a job could all put financial pressure on you, forcing you to part with your property. Releasing Equity – You might have decided that your investment is in place in order to release equity at a later stage. Whether this is to see children through university, embark on a world cruise or simply enjoy the finer things in life, you need to know how much you want to get out of your investment so you know when to sell. When you think about your exit strategy, you need to decide whether your investment will be for the long-term or the short-term. You also need to think about what costs need to be covered by your investments and how much profit you then want to make on top of this. It is important to remember that selling a property can take time, so if you want to be able to access your money quickly, property investment may not be the ideal route for you. You should always do your research before buying to ensure you can maximise your potential profits. By doing everything you can to make sure you are committing to a safe investment means you are more likely to realise your goals. This means knowing the maximum you should pay for a property, how much profit it can realistically make and what your worst case scenario could be. By understanding all of this and reviewing your plans on a regular basis, you can make sure your investment is working towards a positive goal, rather than finding yourself holding on to a property that would be better off being released.